The 6th annual Quawana’s Coats was a huge success. 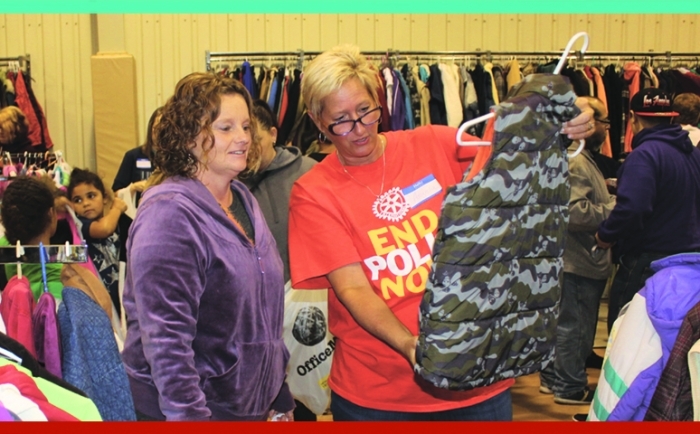 An estimated 1,750 coats and jackets of all sizes were donated, with approximately 400 individuals served that day. There were numerous volunteers from several clubs, groups, churches and resource organizations who also helped that day. Remaining coats were distributed to other area coat drives or clothing shelters. A big Thank You goes out to Jefferson Avenue Church of Christ for the use of their building on Make a Difference Day.